Check out my publications and one-on-one coaching! 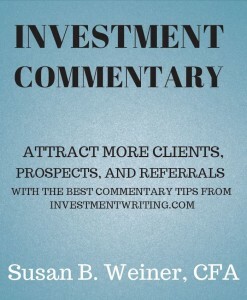 Attract more clients, prospects, and referral sources by improving your investment commentary with 44 pages of the best tips from InvestmentWriting.com. Tips include how to organize your thoughts, edit for the “big picture,” edit line by line, and get more mileage out of your commentary. Available in PDF format only. 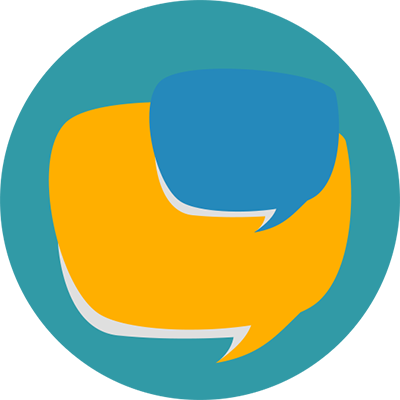 Your communications with clients and prospects are essential to the success of your investment, wealth management, or financial planning firm. 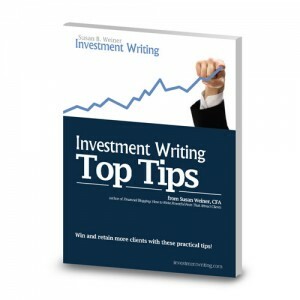 Investment Writing Top Tips gives you information you can use to boost the effectiveness of your marketing, social media, and writing. Do you want to do your own writing, but are getting stuck? Or, are you failing to achieve the results you desire? Hire me to coach you. 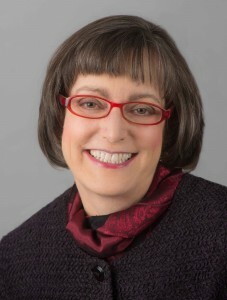 I can help with articles, blog posts, emails, investment commentary, or white papers. 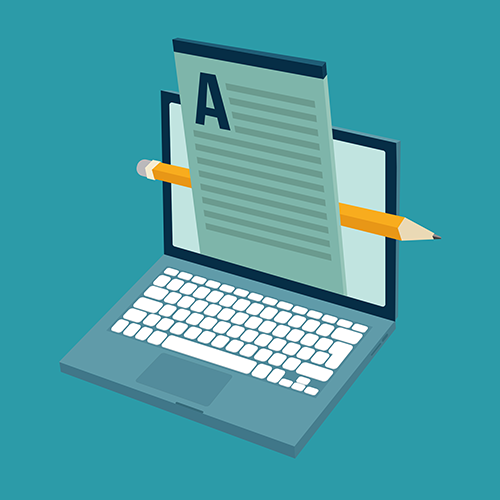 Want to improve your writing skills? 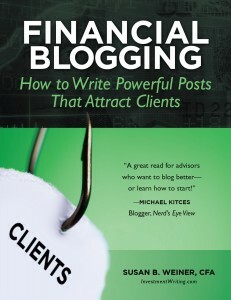 In this self-paced, on-demand blogging class, you’ll learn a process for posts that attract new clients and deepen your relationships with existing clients. You’ll learn through a combination of weekly pre-recorded webinars you can watch at your convenience, homework assignments, and optional supplemental materials.